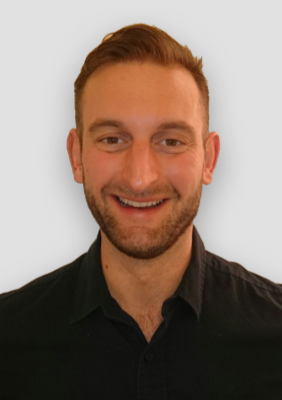 Ed studied for his Master Degree in Osteopathy at Leeds Beckett University. He has a keen interest in a wide range of musculo-skeletal problems and enjoys treating patients of all ages (please note Ed does not treat babies and does not offer cranial as an individual apt as he has only complete the level one course but may incorporate a little of this in his osteopathy apt). He is among a small number of osteopaths in the UK who has worked for the NHS to provide treatment for low back pain. He is highly skilled and uses wide variety of techniques including, Medical Dry Needling (Acupuncture) and Kinesio Taping. Ed has previously worked with dancers, musicians and performers at the West Yorkshire Playhouse, with competitors at The World’s Strongest Man competition and with CrossFit athletes. Ed is a very active individual with a wide variety of interests including travel, nutrition, healthy cooking, weightlifting, cycling, football and hiking. Ed has been an exceptional professional in the course of his osteopathic treatment of me. He genuinely took time to hear about my history and incorporate any extra bits I suddenly remembered so as to build up a complete picture of my background and goals. This showed as he was able to comprehensively able to deal with relatively serious MCL/ Meniscus damage in my left knee. He recognised that I am curious about the workings of the body, so earnestly indulged my questions and queries, offering insight and resources for further investigations. He even let me borrow a book of his so as to learn a bit more myself. Rather than simply addressing the problem for which I originally turned up, Ed worked with me to optimise my physiological health and training by offering guidance for adapting my ice hockey-orientated training in the best possible way. Throughout Ed was delightfully friendly and personable. On the whole Ed seems an ideal health professional! If I could afford it I would work with him every week!